I am so excited to present to continue with A Portrait of The Artist and present to you Jessica Cox who lives in breathtaking Alaska, and that can be easily noticed, looking at her stunning jewelry. 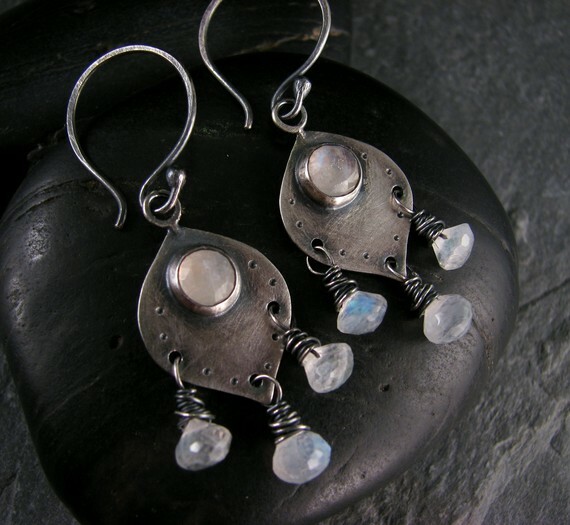 The forms, smells and sounds of her native land combine in a single spirit that guides Jessica’s hands through the process of creating ethereal silver dreams that can be worn proudly. I recommend you to read her etsy profile if you want to know more about her truly magical process of creating. And after you come back bedazzled by her etsy store - JessicaC, let me tell you that although it is packed with beauty Jessica decided to make a very special piece of jewelry specifically for you, the readers of Kanelstrand Organic Living! Starting Wednesday, you will have the opportunity to take part in a magical giveaway, but I am not yet telling what exactly Jessica will be donating! How did you start making jewelry? What was the first piece you created? I started making jewelry after discovering something called Precious metal clay (PMC). It’s a clay consisting of small silver particles suspended in an organic binder. It can be formed by hand and once it’s fired, is a solid piece of metal. 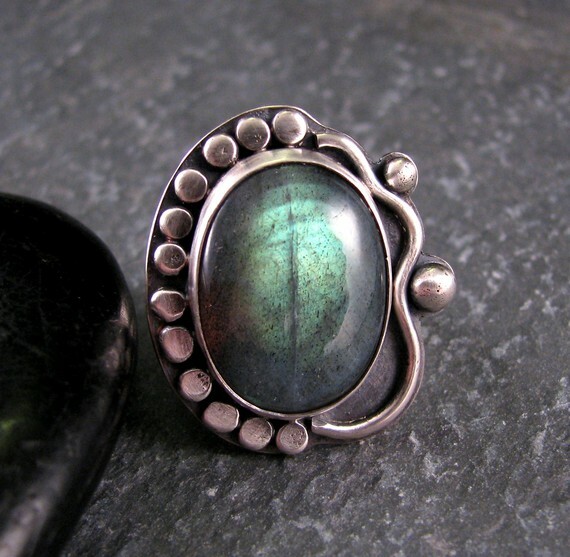 The discovery of this new medium inspired me to learn more about metal and jewelry making. Since I lived in a small condo at the time, it was difficult for me to fire the PMC, so I began practicing wire working instead. Starting out, I did a lot of chainmaille weaving also, and my first official piece was a woven chainmaille bracelet. It seems that you are very passionate about your jewelry and this can be felt looking at every single piece! You say that you try to create jewelry that is not only beautiful by itself, but compliments the body. How do you incorporate the natural forms of beautiful Alaska in your works? The Alaskan environment inspires a sense of freedom in a person. I think that growing up here gave me a sense of no boundaries that shows through in my work. What also influences me is my connection to the land. I believe nothing can be more beautiful than the simplest things of nature. In artistic expression we are only trying to capture a piece of that divine beauty. My work tends to convey these simple forms. If I ever get stuck on a design, many times I will just imagine what it would look like if it were growing! Even the most mechanical, industrial designs must have a sense of nature in them or they would feel cold and emotionless. 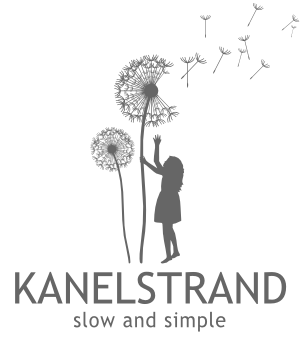 On the Kanelstrand blog we love earth friendly artists and you take special care to use only pure metals and natural stones for your jewelry. Do you feel a special connection to nature on the basis of this close collaboration? Absolutely! I believe that wearing materials from the earth heightens our connection to it, which is something that is soul feeding, and often missing in our daily lives. Even if all that means to you is staring in awe at the most beautiful stone that was once formed in the earth’s crust, and knowing that it’s a wonder of nature. I feel lucky to be sharing that gift with people. You have a beautiful and diverse line of jewelry. What is your driving force and your major inspiration? Well thank you :) This is a difficult question for me, since I have been creating since I can remember. I was born with it in my blood I think. My whole family consists of artists and construction workers, so that is the driving force I suppose. My inspiration comes from all over the place, but my major inspiration? I would say it’s wanting to make women feel like goddesses. There is just nothing like seeing someone try on one of my pieces and seeing their face light up. Can you take us through your creative process. What kind of equipment do you use? Well the process depends on the piece I’m making, but I usually turn an idea into a drawing. This is the first step, on paper I can see problems that may arise later and tweak the design. Then I usually use wire and sheet. 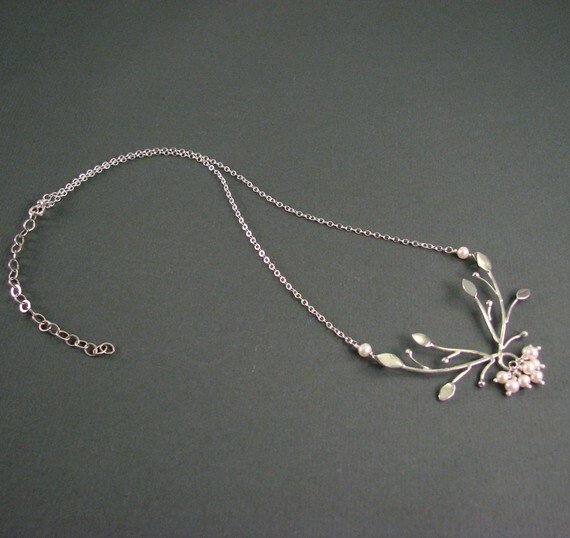 The design is cut out using shears, or a jewelers saw. It may also be punched with a hole punch, or drilled to achieve the right shape. Then from there it is formed, I use pliers, dapping blocks, steel forms and hammers to shape the metal. At this point if there was a stone in the design I would also build the setting and any embellishments. Many times to build a setting requires use of a flex shaft and burs, (like what your dentist uses on your teeth). Once all pieces are cut and shaped, soldering can begin. Flux, and solder are used in combination with an oxygen/propane torch system for soldering the pieces together. The soldered pieces go into an acid bath to remove oxidation from the fire. Afterwards they are hardened in a tumbler then are ready to be polished with a special compound. Then any stones set into the piece using traditional hand setting tools. Whew. Just wanted to add that I also do work that is purely wire wrapping, these designs require much fewer processes. I usually try the design on (except earrings) to see if they look and hang right and don’t have any balance issues or fit issues. Your etsy profile informs us that when you create you think about the person who might be wearing the piece someday, why they would like the piece and what it might say about them, why it would speak to them. This is a very sincere way to charge your creations with positive energy, what is the feedback you get from your customers? I have the most wonderful customers, I get great feedback from them. It really makes my day to hear back from my customers about how much they love their new jewelry. I have received stories from customers about what the piece was for and what it meant to them, or how much a loved one liked their gift. I have created custom pieces for people who are celebrating milestones or fighting for their lives. I feel so lucky to be a part of people’s lives in such a positive way. I would like to quote some of my customers but it’s too hard to choose, so here is a link to my feedback. Where do you see yourself creatively in 5 years? Do you have any new pieces that you are working on? In five years I plan to be making more amazing jewelry than I am now. I am continuously learning new techniques and working to improve my skills. I would like to be casting and have my own casting equipment by then, which would allow me even more freedom to make absolutely anything. Mostly I would like to make more of a profit by then so I can keep doing this. Hmm, this may be the most difficult question! I really like some of the amazing fantasy art on etsy. But being the practical girl that I am, I would have to go with spices. I love to cook gourmet type food, pretty much anything from this shop will probably be my next purchase. But I love this print from one of my favorite fantasy artists too! You can check out previous editions of A Portrait of The Artist here. Great feature - and I love the pieces! I grew up in Alaska too. We had a mother moose and her latest babe come through our yard every day. We named them Lucy and twinkle toes. What beautiful pieces! I love seeing people in their studios. Wonderful artist's story. I really love seeing the personal side of the artist. what a talented artist in a beautiful place .. i enjoyed the interveiw! !